While I was trying to figure out this thing called homeschooling over the last year with our daughter who was in Kindergarten, the boys kind of did school in a “hit or miss” fashion. 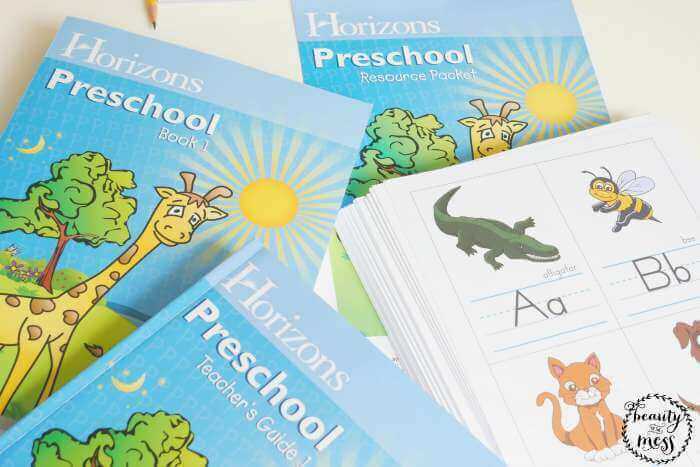 That why I was super excited to get to review the Horizons Preschool Curriculum Set from Alpha and Omega Publications. My boys loved being able to sit at the table with their big sister as she did school. It was the highlight of their morning. It’s a great set because it’s all out of the box with some preparation but nothing too extensive. The program is laid out to cover 5 days, typically Monday through Friday. 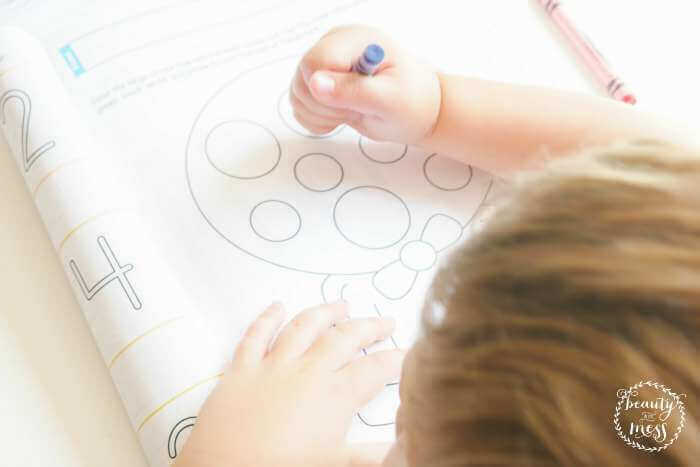 But if you only want to do preschool 3 days each week, then you can do the first, third, and fifth lesson from the week and cover everything. 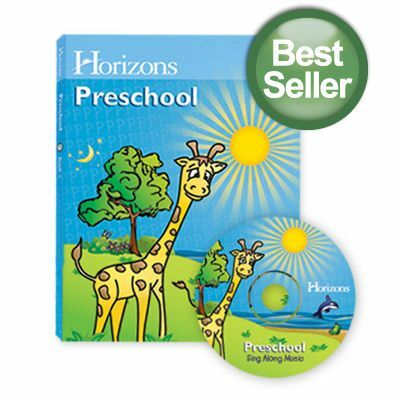 Horizons Preschool Curriculum Set is a Bible based curriculum. Each lesson begins with Scripture and a Bible Story. It also teaches math, phonics, language arts, and other subjects with fun activities and games both my sons and I enjoyed. Can I tell you what my favorite part of this curriculum was? The step-by-step teacher guides that provide detailed lesson plans for each day’s activities. Four children have taken my brain cells. Maybe it’s the lack of sleep over the last 6 years. I’m not sure. 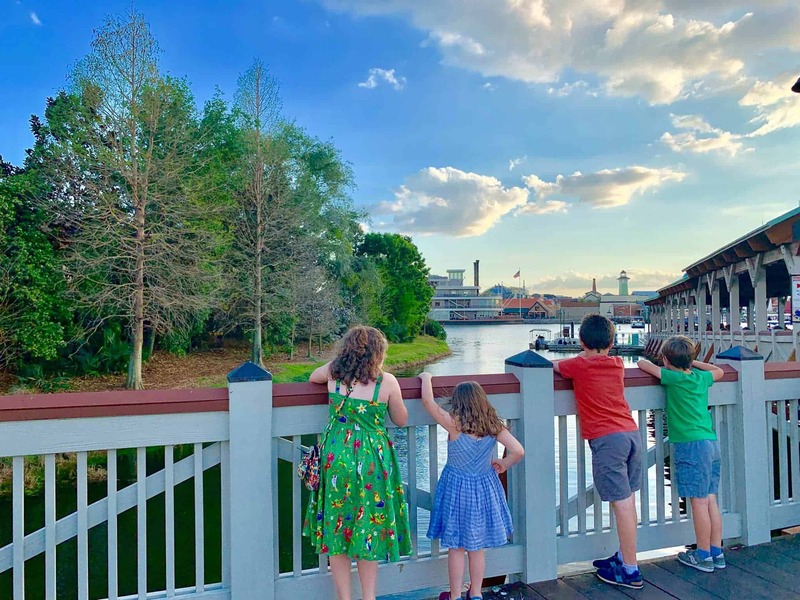 What I do know is that while before kids I could plan like a boss. After four children, I need it to be spelled out. Slowly. Everything has to be written down or I forget it. I need a curriculum that tells me exactly what to do and when to do it. Thankfully, Horizons Preschool Curriculum Set does just that. We enjoyed listening to the music CD in the van while we were out and about. My kids LOVE music, and I love when they can listen to music and learn at the same time. The music CD contains 17 children’s songs, as well as the instrumental singalong versions. This makes it a little difficult for my children who don’t like it when songs repeat until the whole CD is finished. But that’s a minute point. Overall they enjoyed listening and singing along to the songs. I wasn’t sure about a preschool curriculum. 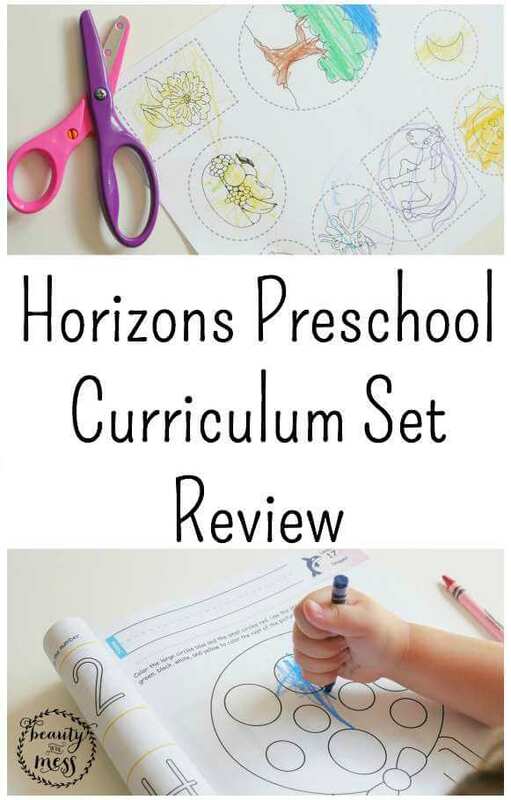 I tend to focus more on play based learning at their ages of 3 and 4, but they really enjoyed the Horizons Preschool Curriculum Set. Not once did they complain about having to do school work. They came eager to learn and ready to dig into the lessons. 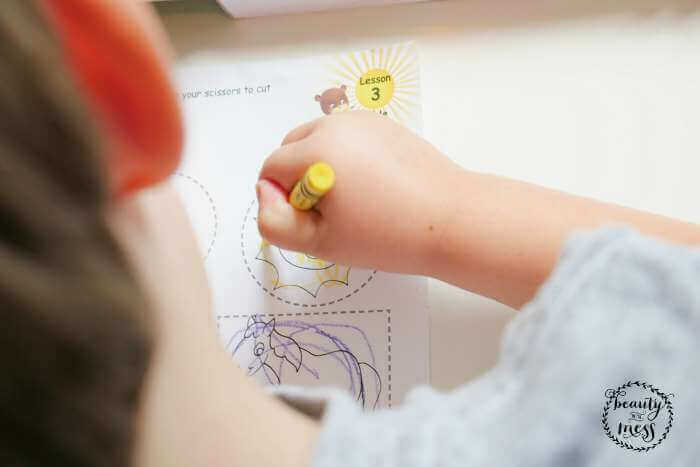 If you are looking for a Christian preschool curriculum, I recommend checking out Horizons Preschool Curriculum Set. It’s all right there for you with step by step instructions. 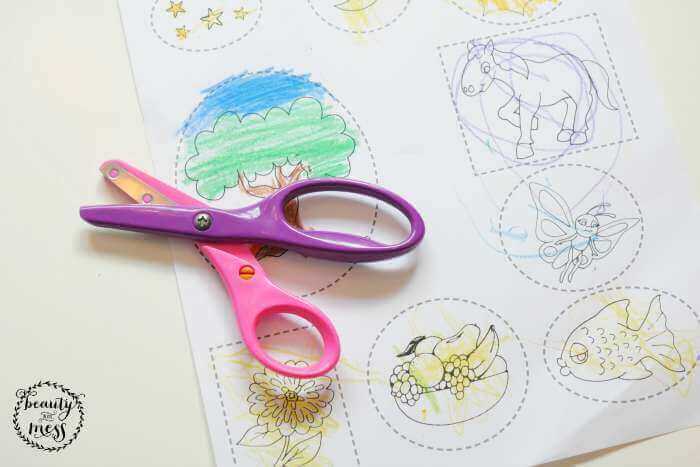 You might need to gather art supplies, but it’s not complicated. 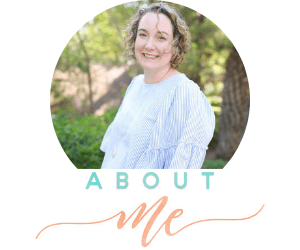 I found it super helpful to check out their Scope & Sequence to see what level my boys were on and to look at what else Alpha and Omega Publications offers under the Horizons umbrella. You can find Alpha and Omega Publications on Facebook, Google Plus, Twitter, Pinterest, and Instagram.